Welcome to Big Jim’s Auto. 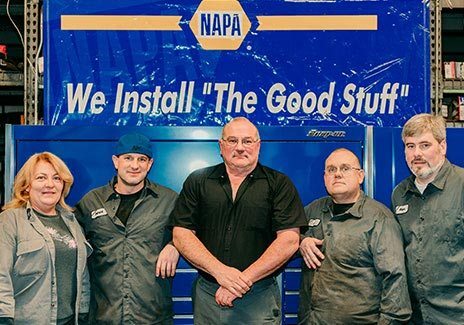 Our auto repair shop was started in 1978 as a franchise location with four service bays. In 1995, the shop was expanded to eight service bays and added additional services and equipment. We do it all! Our team services foreign domestic, hybrid, diesel, electric, light truck and fleet vehicles. All our technicians hold multiple Automotive Service Excellence (ASE) Auto Technician licenses. Between Big Jim and all the Big Jim’s Auto Service team, we have over 140 years of experience. We are conveniently located on 23 Mile Road just west of Interstate 94 (I-94). Come by Big Jim’s Auto today and enjoy our bright and comfortable reception area with free Wi-Fi and coffee! We offer top-notch brake repair and service on all vehicle makes and models. If it seems like your vehicle might be in need of auto repair, it's important to remember to act on any sign. If you want your car to be in top shape, you have to a good care of its transmission system.